From groundbreaking findings to insightful reviews, the American Cancer Society Family of Journals continues to fuel new discoveries in cancer research and guide clinical practice around the world. With the rapid publication of new articles every week it can be hard for clinicians and scientists to stay focused on the most relevant and useful content. 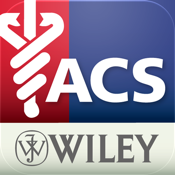 In this app, you can easily access article abstracts, news from each of the three journals, and the American Cancer Society Guideline Articles which are systematically developed to guide policy makers, health professionals, and adults to make decisions on how to prevent cancer, or find it early when treatment has the highest chance of success. With access to a range of topics including: cancer prevention, early detection, diagnosis, cure, rehabilitation, comprehensive patient care, breast disease, blood, endocrine disorders, gastrointestinal tract, genitourinary disease, gynecologic oncology, head and neck disease, hepatobiliary tract, lung disease, neuro-oncology, radiation oncology, translational research, genetics and cytogenetics, immunology, oncogenes, clinical pathologic correlations, and novel applications of molecular techniques; you can create a reading list tailored to your own interests. It’s simple and easy to navigate and presents an optimized reading experience from your mobile device.